Sometimes a visual helps. Those who have traveled to Ireland with me have heard the numbers. Of holy wells. Of cairns. Of stone circles. Of ring forts – estimated between 50 and 60 thousand. For an island just over half the size of Washington State, the sacred sites are ubiquitous. So many numbers and so hard to get a mind around them. 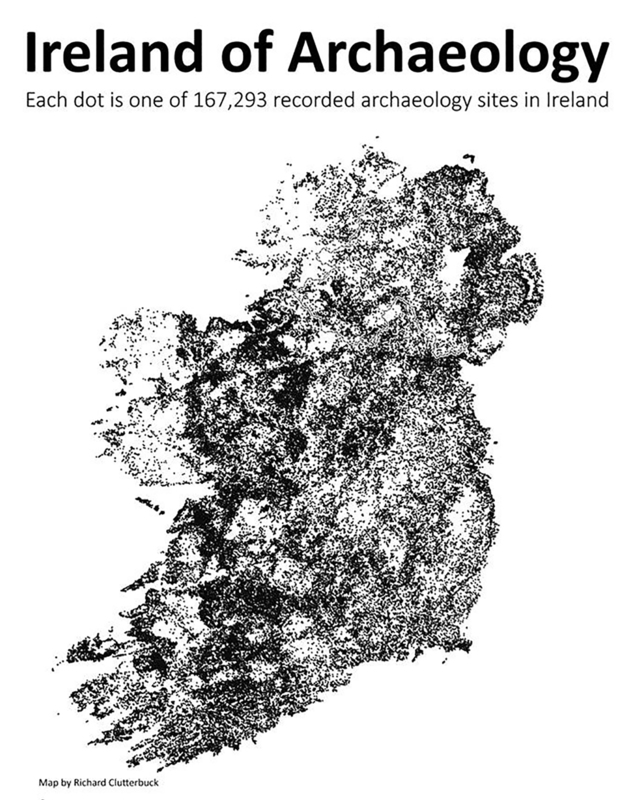 But here is a map of Ireland’s archaeological sites, most considered sacred, created entirely of dots. Each dot a site. It’s no wonder that people so intensely feel the power and presence of this place. It’s no wonder that we sense the presence of other realms and the ancestors. Within these places, the land holds fast that energy and knowing of ancient wisdoms. Within this landscape there is a sacred vibration, a vibration that calls us to return. Again and again.